Transport Training of America, Inc., DBA Transport Training International, is noted as being the premier freight broker school of today's generation. Transport Training’s first freight broker class was held in Prattville, AL in 2002. Over the years, Transport Training expanded and hosted freight broker classes in Georgia, Texas, Arizona, Nevada, and California. In 2009, Transport Training's owner and powerhouse instructor, DeWayne Gilbreath, partnered with Crystal Taylor to create and offer the latest in freight broker course curriculum and materials under Freight Movers School, LLC. Since then, Freight Movers School has offered freight broker training in the Dallas, TX area and the Atlanta, GA area, along with providing at-home learning options, such as our self-paced online course. Our company strives to maintain high business standards, as such, we are not only a Better Business Bureau member, but Freight Movers School is also a BBB Accredited Business with an A+ Rating. 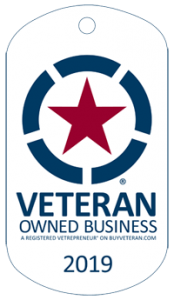 Moreover, Freight Movers School is a Veteran-Owned Business and since we continue to be grateful for the sacrifices made by U.S. military members, we offer a military discount on our In-Classroom Combo Packages and Online Combination Packages. FMS is also proud to be an OOIDA Corporate Sponsor and we offer an OOIDA discount to OOIDA members on our In-Classroom Combo Package. Having educated thousands of students in the art of freight brokering, we continue to maintain a SUPERIOR REPUTATION among freight broker professionals nationwide. Freight Movers School is authorized as a vocational school by the GA Nonpublic Postsecondary Education Commission. Freight Movers School is a renowned freight broker training school throughout the United States and its principals have been helping students become successful freight brokers and freight agents since 2002. FMS is a private vocational school licensed by the GA Nonpublic Education Commission and has been inspected by many government agencies. Our instructors hold college degrees and have extensive classroom teaching experience. They also have over 40 years of experience in the transportation industry; over 20 of those years of experience have been in freight brokering. We pride ourselves on our integrity, honesty, and service-oriented attitude. Our staff is helpful and friendly, and can provide all the information you need to determine whether or not this is the freight broker school for you. In today's time we should be careful how we spend our money. As a 35 + year educator, trainer, and businessman, I have a few suggestions/questions to pass on to prospective students who are wise enough to desire training before embarking on a new career. Is the instructor an effective teacher? Not just anyone can teach. Is the instructor engaged in brokering? Timely real life experience is crucial to effective teaching. Can a new career really be taught over the phone, online, in one day, in two days, etc.? Should a training facility offer follow up support? Is the facility connected to any industry association whether profit or non-profit? To be successful in this business, you have to be committed. Zero investment requires no commitment. How many times did the training facility call you without your permission or unsolicited? What did they say about their competition? I know that not everyone looking for a training facility asks these types of questions. Sometimes people pay for training that truly does not prepare them for their new career. If this has happened to you, then you may be eligible for a tuition credit towards your future course with Freight Movers School. Our admissions counselors would be happy to discuss your credit eligibility with you. A copy of your previous course purchase receipt from that training facility will be required. WISHING YOU THE BEST OF LUCK IN YOUR NEW CAREER! Want more about us? Or, info on becoming a freight broker? Don't miss our Frequently Asked Questions (FAQs) page and our Myths and Truths page!